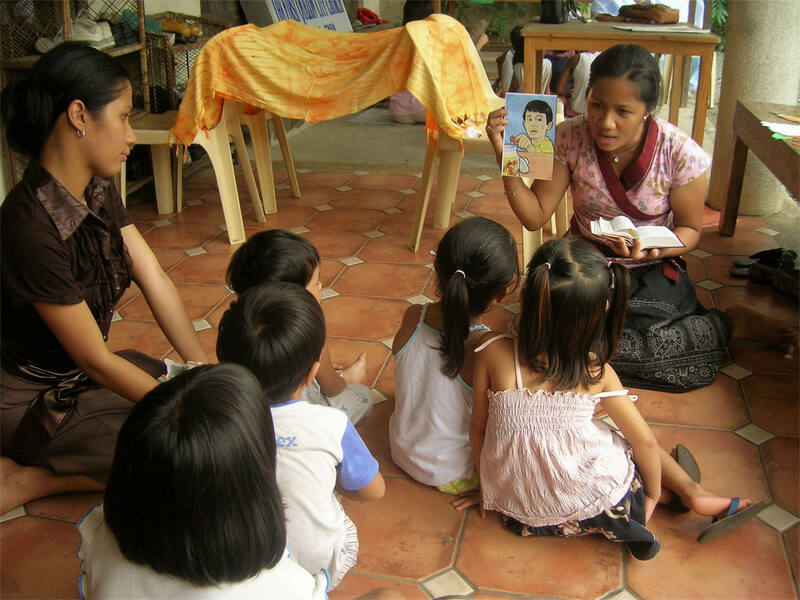 In the Philippines the doors are wide open to take the message of salvation to children in the schools. Trained Filipino staff and volunteers are allowed to go from classroom to classroom and share about the Lord Jesus Christ for 15 minutes. Afterwards, Gospel literature is left behind in the hands of each and every child. In this way, hundreds of thousands of children are learning about our Savior each year. In addition, hundreds of thousands of Meet the King evangelistic booklets, Every Day with God devotional books and other Bible-centered booklets are being read by children in their own language and taken back with them into their homes.